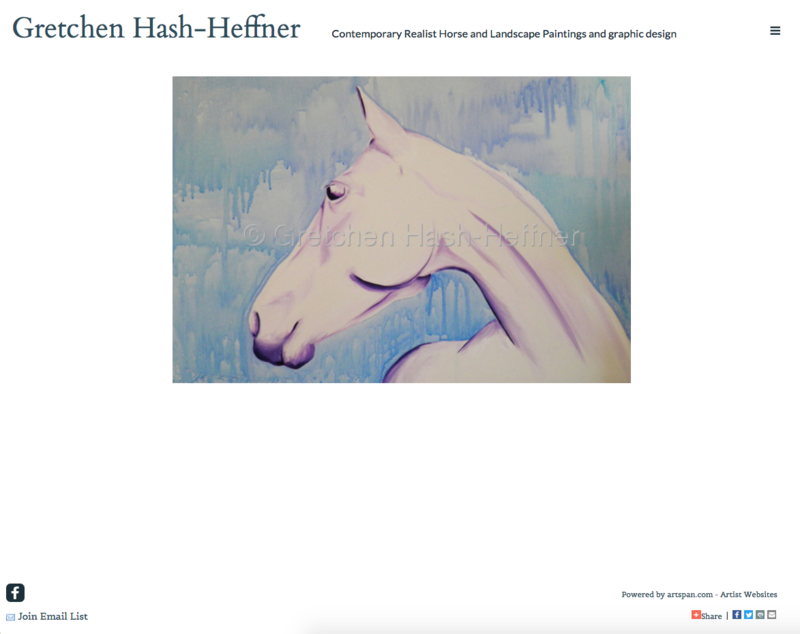 Gretchen Hash-Heffner contacted us to ask for a Website Makeover, and we were glad to oblige! She was using one of our older, non-mobile-friendly sites to displayer her equine and landscape paintings. We started by switching her site to one of our new mobile-friendly themes. We chose a different painting for the home page, because we generally recommend using an image with a horizontal alignment to suit most computer screens. We then adjusted the color of the text on the page to accentuate the new home page image. We noticed that the Facebook icon on Gretchen's home page wasn't correctly linked to her Facebook page, so we fixed that for her. 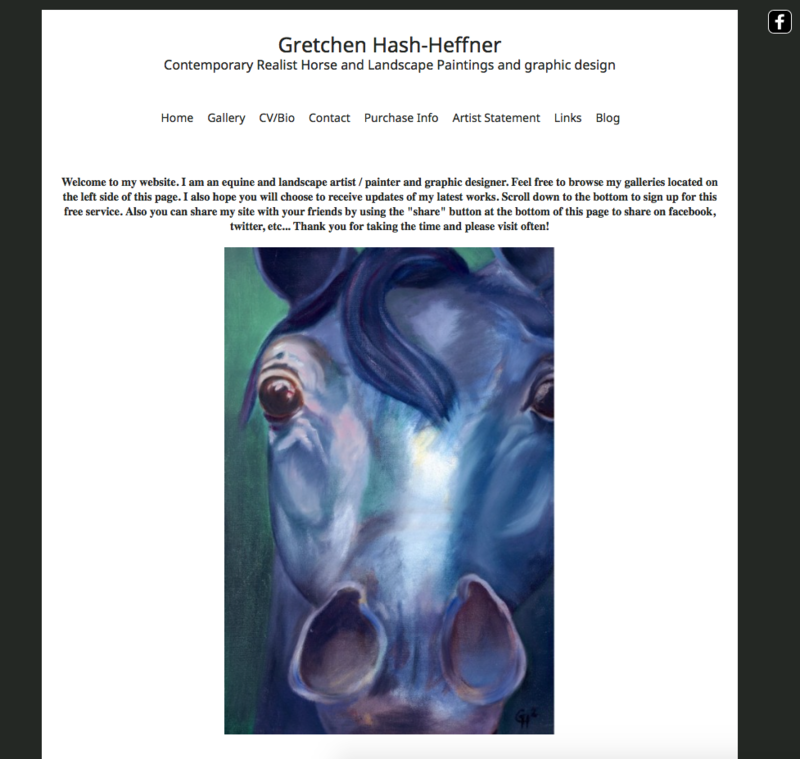 We also noticed that Gretchen was interested in selling her work online, but she hadn't offered her work for sale using our integrated shopping cart, so we gave her information on setting that up. And we thought her work would make perfect prints, so we introduced her to our Prints-on-Demand program.